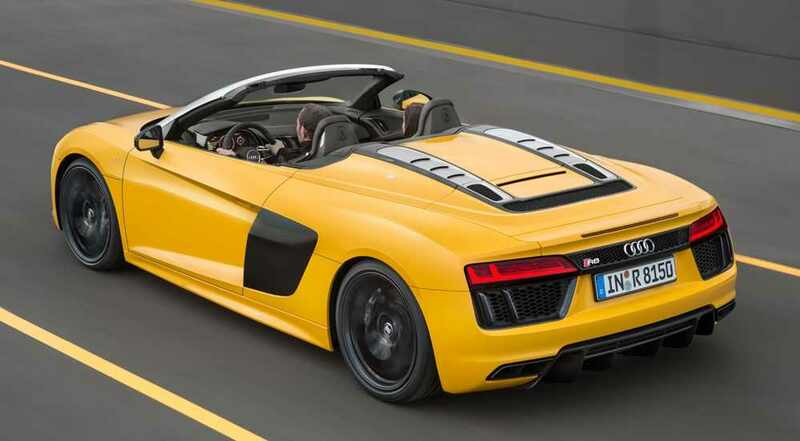 2017 Audi R8 Spyder Gets Official Price in U.S. 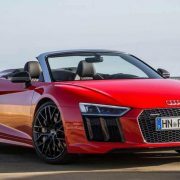 The all-new 2017 Audi R8 Spyder is ready to join its coupe sibling on the US market, the gorgeous convertible version coming with a base price of $175,000, without the $1,500 destination charge. The model looks extremely aerodynamically advanced, and that thanks to the new ASF ligthweight chassis which now makes extensive use of carbon fiber materials. This makes it around 50 percent more rigid than the current version. 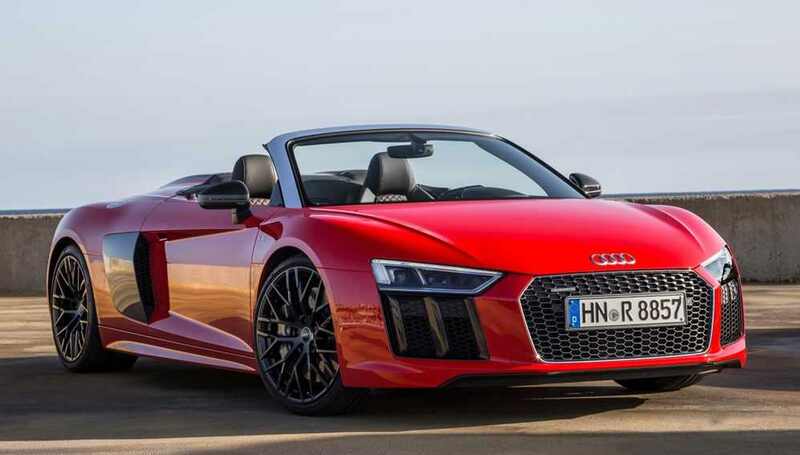 Visually, it looks just like the 2017 Audi R8 V10, except for the soft top which weighs aroung 44 kg and is activated by an electrohydraulic system, allowing the opening in just 20 seconds, at speeds not exceeding 31 mph. Inside, the carbin comes with the company`s latest 12.3-inch Virtual Cockpit display which replaces the conventional instrument panel, adding as well the Audi Connect with 4G LTE connectivity, destination entry via myAudi, Internet radio, Wi-Fi hotspot, travel info, Google Earth satellite maps, Bang & Olufsen premium sound system, MMI touch, heated and electrically adjustable sports seats and much more. 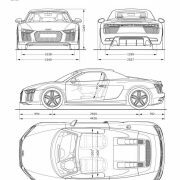 In the engine department, the 2017 Audi R8 Spyder uses the same 5.2-liter V10 from the standard model, developing 540 horsepower and 539 Nm of torque, being sent to the wheels via a seven-speed S-tronic dual-clutch transmission. This allows a faster acceleration than its predecessor, meaning a sprint from 0 to 100 km/h in just 3.5 seconds, at a top speed of 319 km/h. 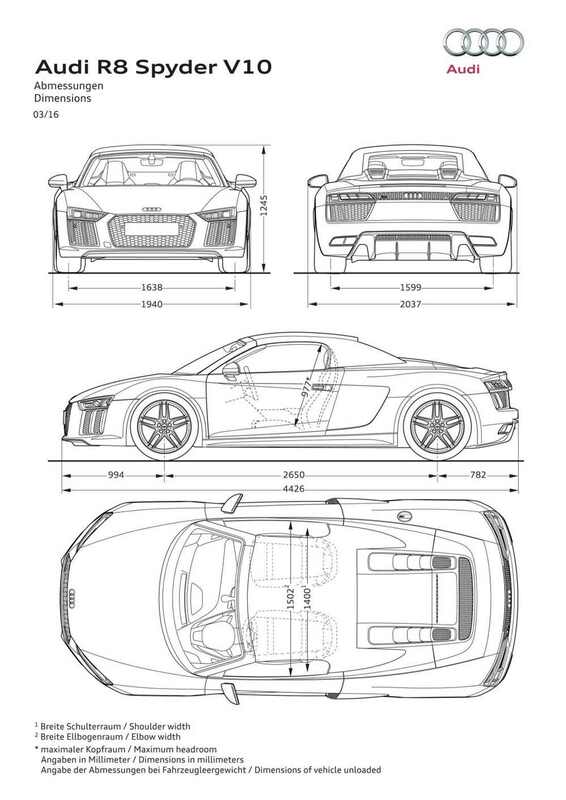 With all taxes, you can end-up paying a total of $176,350 for the new R8 Spyder, the sports car being around $30,000 cheaper than the Lamborghini Huracan. Even so, it is an amazing piece of German engineering, coming with an extraordinary design and the latest technology on-board.